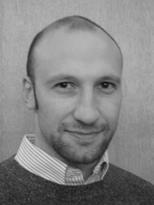 Dr. Lev Sarkisov (IMP) has been awarded Royal Academy of Engineering / The Leverhulme Trust Senior Research Fellowship (2013). The award will allow Lev to undertake a research project on "Computer simulation of adsorption in flexible and stimuli responsive metal-organic frameworks"at the University of California, Berkeley. This schemeis for scientists who would benefit from a period of full-time research without teaching and administrative duties for a period of up to one year. The scheme reimburses the employing institution with the full salary cost of a teaching replacement.